McAfee, the world’s largest dedicated security company, today launched its Online Safety for Kids programme in Ireland. The kickoff event was held at 9:30 am (CET) at Government Buildings, Dublin, with the Taoiseach, Enda Kenny and McAfee President Michael DeCesare. As part of the event, McAfee also released results from its ‘Digital Divide’ Study, an Irish study that looks at how teens are keeping their parents in the dark about what they’re doing online. The findings can be viewed at http://www.mcafee.com/us/about/newsroom/index.aspx. According to the Digital Divide study, more than half of the Irish teens surveyed admitted to wiping their browser history to hide what they’re doing online from their parents. Alarmingly, 11 per cent of teens said they had actually met up with someone they met online. The survey demonstrates that many Irish teens are accessing inappropriate content online, despite being trusted by their parents to do what’s right when surfing the Web. McAfee launched a pilot programme in Cork in January. 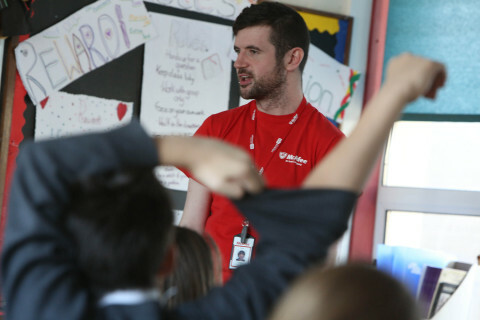 To-date, 80 McAfee volunteers in Cork have taught at more than 30 schools and community centres, reaching more than 3,000 young people, parents and teachers. To take the programme to a national level, McAfee will leverage the power of Intel, Ireland’s largest employer, to join forces on volunteer efforts. In 2014, McAfee will reach more than 10,000 kids in Ireland through the McAfee Online Safety for Kids programme. McAfee is also creating a youth ambassador programme that will leverage youth in their transition years to teach online safety for kids in local primary and secondary schools. This development will be piloted in Christian Brothers College Cork in conjunction with the Transition Year Teachers Professional Network. Over the next year, McAfee also plans to create materials that can be used by teacher organisations, the Department of Education and Skills and initial teacher education providers. The Company’s goal is to train the next generation of teachers in Ireland. This includes primary and secondary teacher education colleges, such as Mary Immaculate College, Limerick and University College Cork. In 2009, McAfee began teaching school children to use their computers and digital devices safely with pilot programmes in the United States. To date, McAfee has reached more than 150,000 youth, parents and teachers around the globe with its cyber education volunteer program. The McAfee Online Safety for Kids Programme is a free school initiative that utilises McAfee and Intel employees, as well as McAfee partners and customers, who volunteer to train school-age children and parents on ways to stay safe and secure, as well as maintain good ethics in their online behavior.